Every Android enthusiast knows about Aptoide. Aptoide is very powerful App Store managed by the internet community. But when it comes to Google Play Store there is no second thought about its grandeur. Many apps in Android Marketplace are either free or freemium while few many are paid ones. 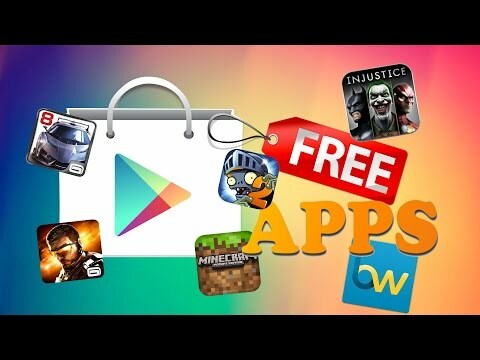 But the Aptoide Store offers all the apps for free. Aptoide is similar to the Google Play Store offering digital content where you can browse and download the apps. It is like a marketplace app where all the content is available, you do not need to Google search every time to download the apk file of the app. It presently offers over 800 thousand apps. Aptoide is not available in Play Store because it offends Google’s policy of “No competition clause”. Google is very strict when it comes to Policies or Terms & Services. You have to adhere to its rules for your App to be accepted by Google. Many useful Apps do not make to Google Play either due to Play Store Policy Violation or App Content Violation. Aptoide is one such useful application. Prerequisites: You need to enable ‘Unknown Sources’ on your Android phone in order to install this App on your device. Aptoide App Store is community managed App store which lets you download apps directly on your Android mobile, Some of the features offered by Aptoide store will make you love it instantly. The App offers all the apps which are scanned for virus or malware. You can create your own market store in the Aptoide App Store and publish the Apps. The Aptoide is one of the most popular alternative App Store for Android. Also, get free apps for free. You can also download the apps which are not available for your country. Download the apk file with pause and resume the download anytime you wish, a reboot also will not wipe the downloaded data when paused. Is the Aptoide Safe to Download? Aptoide TV Store, the best App store for Fire OS and Android TV. The Fire TV and Firestick TV by Amazon are a popular digital media players running on Fire OS, a forked version of Android OS. Amazon offers its own proprietary store for devices running on Fire OS so you won’t find Google Play Store for Fire TV. But you can try a 3rd party store on your Firestick. Same goes with Android TV which has a Google Store but most of the apps are paid which you can get for free on Aptoide TV. Aptoide is one of the best 3rd party App stores for devices running on Android OS. If you wish to sideload 3rd party apps on your TV then Aptoide store can make your work very much easy. The features offered by Aptoide are quite unique and you won’t find in any other conventional App store. Note – While browsing any app you may get a message that app isn’t available “SEARCH ON WEB”. Search the web using a good browser and download the app. I hope you liked the Aptoide app. Do comment below for any help. Conclusion: With the Aptoide store you can get all the Apps on your Android OS without any issues. I hope the post was helpful. Do comment below for any assistance or support. Also, let me know if any of the download links are not working so I can update it ASAP. If you've any thoughts on Aptoide APK Download for Android | Paid Apps Free, then feel free to drop in below comment box.